It’s worth taking the time to read the information you have been given and ask questions about any things that seem unclear. If you have been given an award certificate, it should set out the main things about your award. If there is an external share plan administrator, there may be more information if you log in to your account on their website. There may be a helpline that you can call. Remember: the company has the specific information about its plan and your award. This website has none of the detail about particular companies’ share plans, so the information on here can only be general information. No two share plans are the same, so it will be important to consider the information that your company provides. Most plans give you an opportunity to own shares in the company. Some plans offer tax advantages. Companies choose different plans depending on their circumstances- sometimes two plans that are quite different may have similar sounding names and sometimes different kinds of awards can be made under the umbrella of the same plan. Some plans are option plans giving a right to acquire shares if you satisfy the conditions. Usually you have to do something to get your shares. This is called exercising your option. You may have to pay the option exercise price in order to exercise your option. Sometimes, the company will put in place cashless exercise arrangements that allow you to pay the exercise price by selling some of your shares. Some plans offer conditional share awards. If the plan conditions are satisfied, the shares will be delivered to you. You don’t have to pay anything to get your shares. The company controls this process and you do not get any choice about when the shares are delivered. There are also share-linked cash plans where you receive a cash payment that is based on the value of the shares, but the plan is not designed so that you can become a shareholder. Other plans are share purchase plans. This means you pay to invest in the plan shares. You may become a shareholder right from the start. The share price you pay may be less than the cost of buying the shares in the market. Sometimes when you join the plan you will need to agree that this payment can come directly from your salary, or your bonus. You can follow the links under Plans and Awards in the navigation bar to find out more about some of the different types of plan that companies may use when they grant awards. 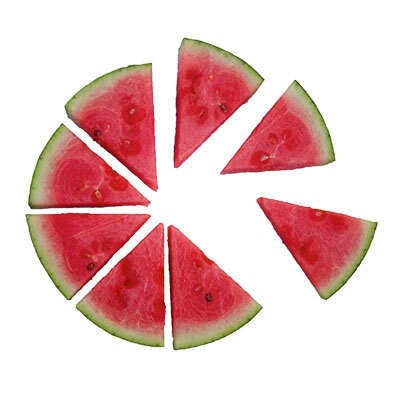 To encourage employee share ownership, some types of plan offer potential UK tax advantages. Some plans and some awards need you to satisfy employment conditions by completing a period of employment with the company, some plans have performance conditions that must be satisfied. Some allow awards to be adjusted if something serious happens (often called ‘malus’), some require you to retain the shares for a period after you acquire them and they may be subject to clawback during this time. What kind of award will you get if you join the plan? Your company should give you information to explain what they are offering you. What you might get (and what conditions apply that may affect whether you get anything and how much you might get) will depend on what kind of plan it is and what type of award is being offered. Will your award be subject to employment conditions and/or performance conditions? Will malus and/or clawback terms apply? Some of the main award types are explained below. If your award is an option then once the various conditions have been satisfied, you can decide whether to take your shares by exercising your option (or not). There might only be a short period of time in which you can do this. Make sure you don’t accidentally miss the deadline! With an option, it will be set out in advance how much you have to pay in order to get your shares. The exercise price will usually be fixed at the beginning. Sometimes the exercise price is nil, in which case what you have is called a nil-cost option. Normally, it is you who chooses whether and when to exercise. Under a Sharesave or CSOP you will be granted options where you pay an exercise price to get your shares. Performance Share Plans or LTIPs may sometimes offer nil cost option awards. If you have an option with an exercise price that is higher than the share price, then you may be able to get the shares cheaper by buying them on the market (if they are publicly traded). When this happens, you sometimes hear people talking about the option being underwater. In most circumstances, it would be strange to exercise an option when it is underwater, because you would be paying more for the shares than they are worth at that point in time. when to exercise your option? This might depend on your tax position. It might depend on when you will be able to sell the shares you get. It might depend on when you have the money available. Some tax-advantaged options may be able to be exercised without triggering any taxes. Otherwise, it is normal for income tax and national insurance contributions to be charged, based on the difference between what you had to pay for the shares and their market value, the amount that they are worth according to the tax rules. Your employer normally has to put in place arrangements to help sort out the employment taxes on your behalf by deducting the tax amounts through the Pay As You Earn system. Sometimes it might be better to wait until the next tax year before exercising, for instance if for some reason you expect the tax bill will be less. But bear in mind that the share price may move up or down while you are waiting. Sometimes, the company will offer a cashless exercise. This means that rather than you finding the cash to pay the exercise price out of your own pocket, you agree they can sell enough of your option shares to pay the option exercise price (and any employment taxes) and deliver the rest of the shares to you. This is sometimes called ‘Sell to cover”. If your award is a conditional share award then the company determines the timing, it’s not your choice. If the conditions have been satisfied, the shares will be delivered automatically. You get the shares free, without having to pay for them. This will normally trigger employment taxes and the company usually has to make arrangements to sort these out on your behalf by deducting the tax amounts through the Pay As You Earn system. Examples of plans that may offer conditional share awards may include Long Term Incentive Plans, Performance Share Plans and Restricted Share Unit plans. You may be offered the ability to buy shares using your own money and own them straight away. These are not free shares, you have paid for them. But you may have been offered them at a cheap price. You may be expected to hold onto them for a minimum period. An example is partnership shares under a SIP. But there are lots of other ways in which you may be offered the opportunity to buy shares. If you get shares without paying the full share price, that is called a discount. You should understand what the tax treatment will be. Unless special tax rules apply, you should expect that the discount will be subject to employment taxes. You are getting something cheaper because of your employment and so normally that can be taxed. If your award is a restricted share award or a forfeitable share award then usually you own the shares as soon as you join. Usually you get the shares free, sometimes you may have to pay something for them. The shares you get are subject to restrictions, for instance they may be ‘locked up’ in some way so that you can’t sell them until the end of the period when the restrictions apply. It is likely that during this period there will be circumstances in which you may have to ‘forfeit’ some or all of your shares. In other words you give them up without getting any payment, or you may have to sell them for less than they are worth. These kinds of awards may be taxed based on the value at the beginning, or may be taxed based on the value when they become unrestricted. This can be a complex area. The company may give you a detailed explanation, but if you’re unsure, think about taking your own personal advice. 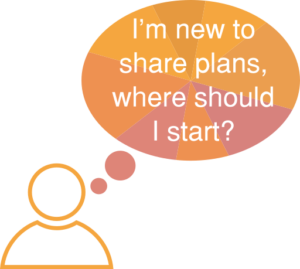 What other things might you need to know about Share Plans? When you are making decisions about participating in your company’s share plan or about your share plan awards or about holding your plan shares once the plan conditions have been satisfied you should understand about the company and about shares you are getting. What kind of shares are they and what would it mean to be a shareholder in this company? More about shareholders and companies. What is the tax position expected to be? Will all the taxes be sorted out for you? What are the key dates to watch out for? What if there is a corporate event (such as a company sale or takeover) that affects your award? Once you get your shares, should you keep them? Some plans give you more choice than others once the awards have vested. If you have to make this kind of investment decision and you are not sure what to do, this is an example of where you should consider getting advice. The company won’t be allowed to advise you. It’s worth knowing if you will have to pay tax. Often the company will make sure that unless you have made special arrangements, you have to sell at least enough of your shares to cover the exercise price, if there is one, and any employment taxes that become due (‘Sell to Cover’). Sometimes the company will offer the opportunity to sell all of your shares (‘Sell all’) or sometimes they will let you choose to sell the number you decide. Usually, you get whatever the shares were sold for (less the costs of selling them) paid to you either through payroll on the next pay day or directly to your bank account. These arrangements might only be around for a short time, so make sure you know the key dates. You might not want to sell. It could be worth your while, for instance if you have a tax-advantaged option where the share price has risen so much that you may have capital gains tax to pay, to hold onto some of your shares. You may be able to sell them later and pay less tax– but remember that the shares could fall in value in the meantime. Using an ISA is a possibility you may want to consider. If you decide to hold onto your shares, you need to understand more about shareholders and companies and what happens when you decide you want to sell shares at some point in the future. In some cases it can also be worth considering whether to give shares to your spouse or civil partner or someone else, perhaps because that may mean less tax overall. There are special rules that normally mean a transfer to your spouse or civil partner is tax free but with other gifts there can be tax consequences. If you give your shares away, you can’t stop the person you gave them to from doing what they want with them- they aren’t your shares any more! And your spouse may not always qualify for the same tax reliefs that you do. If you are thinking about gifting shares for tax planning purposes, consider whether you should be taking your own personal advice. Most plan rules have a section that sets out what happens if you leave. We can only give very general information on this website- it will be important for you to look at the information the company provides and see what it says about leaving. If it isn’t set out clearly enough for you, it will probably say where you can see a full copy of the rules or where you can get more information. Sometimes if you leave, you lose your award. One of the company’s reasons for offering the awards may be to encourage people to stay. Sometimes it depends on why you leave – ‘good leavers’ may get to keep some or all of their award shares, or may have a specified period in which they are allowed to exercise their option. ‘Bad leavers’ may lose their award. With tax advantaged plans, the law allows some tax benefits to continue to apply if you leave in specified ‘good leaver’ circumstances. There will probably be a limited time for you to decide what to do, so make sure you know what are the key dates. Sometimes the plan rules will allow the company’s remuneration committee to override the bad leaver provisions and treat you as a good leaver if they believe that is the right thing to do. Usually if you leave to take up another position somewhere else in the company’s group, you can keep your award or else you could be treated as a ‘good leaver’. You would expect that the leaver rules would start to apply on the day your employment finishes. Be careful though, in some plans, the leaver rules bite as soon as you give notice – or sometimes even if the company gives you notice. The company may not see any advantage in you continuing to benefit from the plan if you are going to leave to work for one of the company’s competitors, for instance. 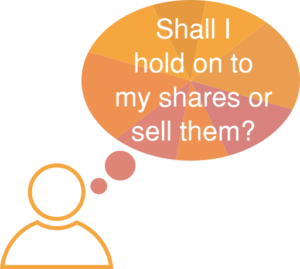 Sometimes even once you become a shareholder, you may be bound by provisions that say that if you leave you have to offer your shares for sale. For instance the Articles of Association of a private company may have rules about what happens to leavers’ shares. If the company’s shares are publicly traded you would not normally expect to have to sell your shares if you leave- although if your shares are held in a special nominee arrangement that the company has put in place for employees, you may not be allowed to continue to hold them there. Sometimes, leaving can make a difference to the tax treatment. This can happen with awards under tax advantaged plans and it can happen with the capital gains tax rules on entrepreneur’s relief, for instance. Plan rules normally contain provisions that say that if you leave, your share awards don’t form part of any employment claim. You normally have to accept these provisions when you join the plan. That doesn’t mean they can never be challenged- but challenging them will most likely cost you money in advisers’ fees and there is no guarantee that you will win. If you are thinking of leaving, or if the company asks you to leave, you may well decide to take legal advice. Your share awards will probably be one of the things you want to consider, especially if they have gone up in value or are worth a lot of money. The position can be complex and there may be a number of factors to weigh up. If the company is affected by a corporate transaction, that may affect those that participate in its share plans. The company will need to provide information to explain what is happening, how it affects you and whether you have to make any choices. The company should have the benefit of professional advice specific to the particular transaction, so it is important to read and consider the information that they provide. We can only give very general pointers here. What happens may depend on whether you are already a shareholder, or whether you just have share awards that have not yet vested or been exercised. If you are a shareholder as well as an awardholder, you may receive one set of information that is provided to shareholders and another set of information that is provided to awardholders. If this happens, the chances are you will stop being employed within the share plan company’s group, although not through your own choice. Often in this situation the share plan rules will treat you as a ‘good leaver’ so that you can get the benefit from some or all of your share awards. If the plan is tax-advantaged, the tax advantages will probably still apply. There may be strict deadlines and you may lose out if you don’t take action in time. A takeover can happen in different ways depending on the commercial situation. The buying company , or ‘bidder’, may make an offer to buy the shares of the ‘target company’ in exchange for cash, or sometimes in exchange for new shares issued by the bidder company or a company linked to it, or sometimes for ‘loan notes’ (like formal promises to pay), or a combination of these. Sometimes all shareholders are offered the same thing, sometimes they get a choice. Shareholders of the target company normally get to vote on whether to accept the offer- so if you are already a shareholder you may get your say. It is usually the case that if most of the shareholders agree to accept the takeover offer, all of the shareholders can be made to sell their shares, even people who don’t want to. Another common route is a ‘scheme of arrangement’. Here, shareholders of the target company get to vote and also the Court is asked to sanction the transaction. Once sanctioned, all target shareholders are bound to sell their shares. The consideration could be cash, shares, loan notes or a mixture. The share plan rules and the terms of your awards will say what happens in this situation. Often awards vest early and you may get some or all of the benefit of your awards. Strict deadlines will apply. Often, if your awards are under a tax advantaged plan the tax benefits can be preserved, although this may depend on exactly what kind of takeover it is and on what consideration is offered. Sometimes the bidder will ask you if you want to exchange your awards over shares in the target company for new awards of equivalent value over shares in the bidder. Sometimes this is called ‘rolling over’ your awards. Usually it is your choice whether to accept a rollover but occasionally the share plan rules may compel you. Sometimes it is possible for awards that have been rolled over to continue to benefit from tax-advantaged status. Takeovers can be unsettling and sometimes people choose to leave. Sometimes there is a restructuring as well as a takeover and people may be asked to leave. In this situation the plan rules should determine whether leaver treatment or takeover treatment applies. There will almost always be strict deadlines and you may lose out if you don’t take action in time. This is a bit like a takeover but without any real change of ownership. Often in this situation the plan rules will say that your awards over shares in the original company are replaced by awards over shares in the new parent company and the new awards just continue under the original terms. Sometimes you may be given a choice whether to roll over your awards or to have them vest early. There may be strict deadlines and you may lose out if you don’t take action in time. What happens here depends on exactly what kind of demerger it is. The terms of the demerger usually have to be approved by shareholders of the original company. If the demerger is going to reduce the value of your awards (for instance because a valuable part of the business will no longer be owned by the share plan company) then the plan rules may provide a mechanism for adjusting your awards so that you don’t lose out. Sometimes you may end up with awards over shares in two different companies.There may be strict deadlines and you may lose out if you don’t take action in time. There are company law rules that regulate this, to ensure a level of protection for shareholders and usually the company needs shareholder approval before it can increase the number of shares by more than a certain proportion. In many situations, the shares have to be offered first to the existing shareholders. If the company needs to raise money by issuing shares, it may have to set the price relatively cheap in order to encourage people to buy them. These kinds of transactions can be structured in different ways. You may hear that the company is making a ‘rights issue’, or you may hear that it is making an ‘open offer’. In both cases the shares are offered fist to the existing shareholders. Shareholders who can’t or don’t want to buy the new shares offered to them may find the value of their existing shares is reduced, because the value of the business is spread amongst a larger number of shares and they are now holding a smaller percentage. Usually there will be financial institutions lined up to take up any shares the existing shareholders don’t want to buy. Award holders who are not shareholders don’t have the choice of buying shares at a preferential price, so plan rules often include provisions that allow awards to be adjusted so as to be fair to award holders. Sometimes you may hear that the company is raising money through a ‘placing’. This means that new shares are issued but they are not offered first to existing shareholders. In this situation, award holders aren’t in any worse position than shareholders and so it’s less usual for awards to be adjusted. The situation may depend on whether the company is solvent or not. The plan rules may allow awards to vest or be exercised in time for award holders to become shareholders and participate in any distribution of the company’s assets to shareholders.